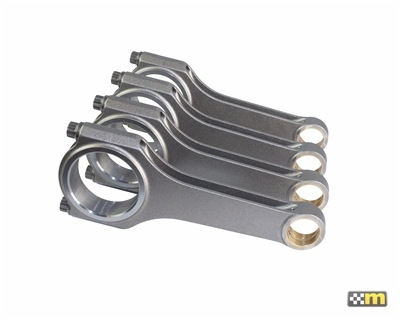 The connecting rod is one of the most highly stressed components within the engine and improved connecting rods are an essential upgrade for high power EcoBoost engines. The mountune connecting rod was developed using extensive FEA analysis resulting in the optimum connecting rod for applications up to 200 bhp per cylinder. 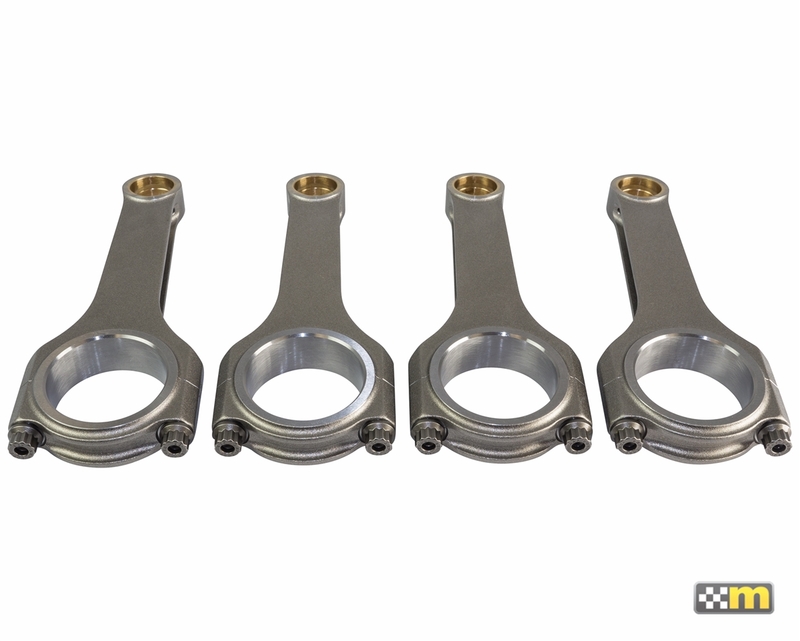 Each connecting rod incorporates our motorsport DNA to provide you with the ultimate component for your engine. Exclusive features include a robust, H – Beam configuration with extensive machining to optimize weight without reducing strength. ARP connecting rod bolts are also standard and are superior to most bolts found in other rods on the market. Silicone/bronze pin bushings provide a durable and low friction surface that remains dimensionally stable in high pressure and high RPM applications.